Before last year, you could not have paid me to wear leopard print... until I found a leopard print dress that I fell in love with, which then lead me to a leopard print scarf. And now this year, I am full on accepting my love of all things leopard print! Plus, it’s super on trend, so why not?! Today I'm sharing 5 leopard print items I've gotten lately, and 3 of the 5 items (the first 3) are under $35! 1. Dress- I got so lucky with this dress. The first one I got was black. Someone put it back in the wrong spot, and it was the only one I could find in the whole store, and it just so happened to be my size. I have loved my black one so much that when this leopard print one went on sale, my mom got it for me! It is such a flattering dress that is surprisingly very nice quality for the price. And of course I love the ruffle sleeves! 2. Booties- Pictured below is the black dress I was telling you about above. It can be styled in countless ways. 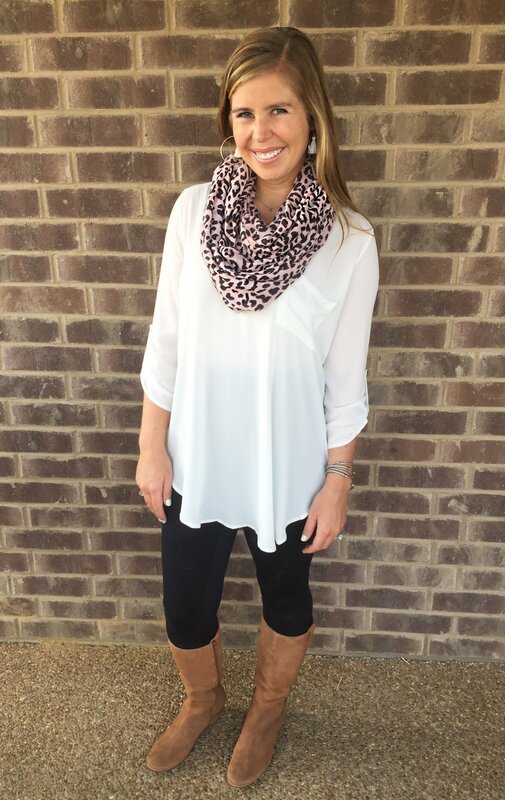 However, one of my favorite ways I've worn it so far is with these leopard print booties! They look and feel so much more expensive than they actually are! 3. Scarf- I stumbled upon this scarf in store, and it was $10, so I had to get it. It adds a little bit of fun to any simple outfit that needs a little something extra! 4. 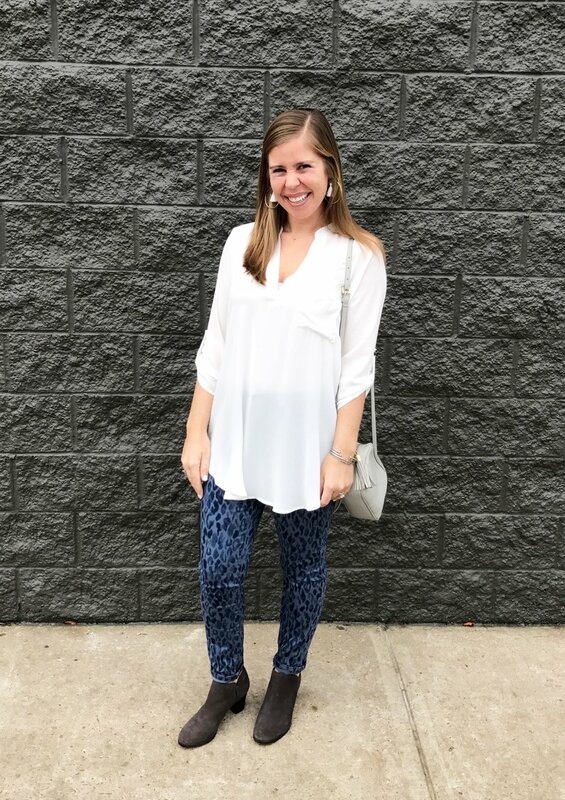 Jeans- These jeans are the newest item I've added to my leopard print collection, and I am so excited to share them with you! They're currently marked down from $118 to $69.95, and I just simply couldn't pass them up. They are just so fun, comfortable, and easy to style! 5. 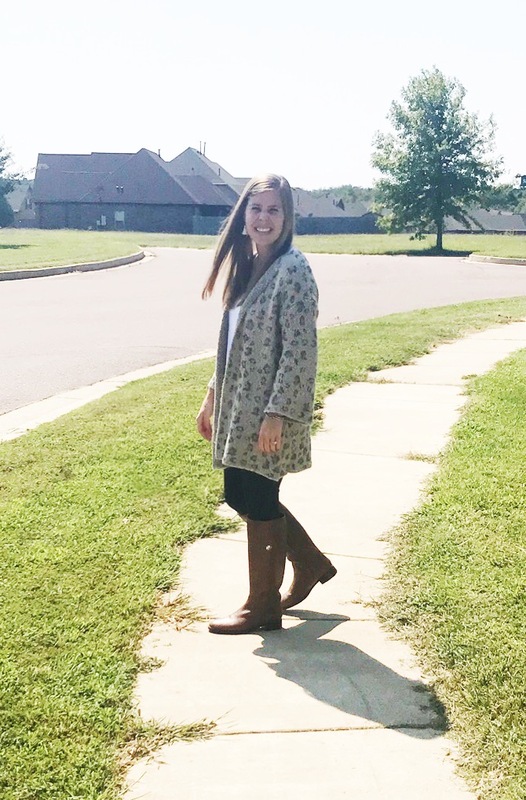 Cardigan- I spotted this cardigan a couple months ago, tried it on, and put it back on the rack because of the price. However, before I left the store, I decided to put back 2 of the other items I was planning on getting and got this cardigan instead. I knew I would immediately regret it if I didn't get it. It's so comfy, and I'm excited to actually get to wear it now that it's getting cooler. Bonus- First Leopard Print Dress: This was my first leopard print item I ever owned! I saw it last year and loved the style of the dress so much that I knew I had to have it (even though I was pretty scared of leopard print at the time). I can't find the exact leopard print anymore. However, I have linked up the dress, and it comes in several different colors and prints. I have the leopard print one pictured below, as well as one in a blue snake print. I absolutely love the solid ones and also have my eye on this zebra print one. It's such a well-made dress that I know will be in my closet forever! What are your thoughts on leopard print? I believe mine are pretty obvious. :) Thanks so much for reading! Have a great day!